The denial of an insurance claim can be a major headache for your practice, having a negative impact on cash flow and practice efficiency. 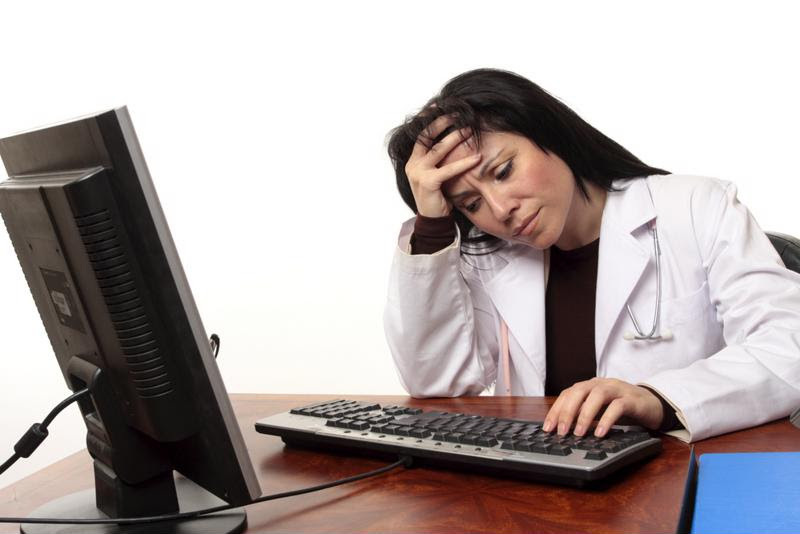 According to the Medical Billing Advocates of America, across the healthcare industry 1 in 7 claims is denied, often for a variety of reasons ranging from technical errors to simple administrative mistakes. Preventing denials before they leave your practice accelerates your revenue cycle and improves practice profitability. Dealing with an appeal process or denied claims increases administrative costs and decreases cash flow, while finding solutions to minimize denial rates can have a positive effect on a provider’s bottom line. Healthcare Finance News found that one of the most frequent sources of a claim denial has nothing to do with medical conditions or policies, but instead is the result of administrative mishaps by providers. Often a front office employee may accidentally resubmit a claim before giving an insurance company enough time to respond, or resubmit a claim instead of following up on an existing instance. Having a well-established workflow for submitting insurance claims and a practice management solution with robust claims tracking and reporting capabilities can help to reduce denials and improve billing efficiency. Although the latest iteration of coding language gives doctors and providers more precision when it comes to cataloging treatments, errors may still be common as physicians and billing staff continue to become more familiar with the latest guidelines.Investing in a modern PM solution with built in automated billing rules can flag potential coding issues before the claim is even submitted, helping to improve collections and reduce administrative costs. Embedded directly within your PM solution, the clinical coding knowledge base makes the billing process more efficient by notifying you of potential issues before the claim even leaves your system. Your staff can now process more claims, spend less time chasing down payments and get paid on the first attempt. Many claim denials start at the front desk. Manual errors and patient data oversights such as missing or incorrect patient subscriber number, missing date of birth and insurance ineligibility can cause a claim to be denied. An easy-to-use PM system with built in eligibility checking streamlines the check-in process and reduces administrative mistakes, ensuring your claims goes out clean and your practice gets paid faster. In some cases, a claim maybe denied if the payer is unsure of the medical necessity of the encounter or procedure. In these instances, the payer may require additional documentation to support the level of service and determine medical necessity. Having an integrated EHR and PM platform that allows for easy and efficient charting ensures quick access to the documentation you need to support medical necessity and avoid claims denials. Avoiding claims denials is not an easy task. But, a properly trained staff and a robust PM solution can make it easier to simplify the billing process and avoid costly coding and administrative errors that lead to most claim denials.